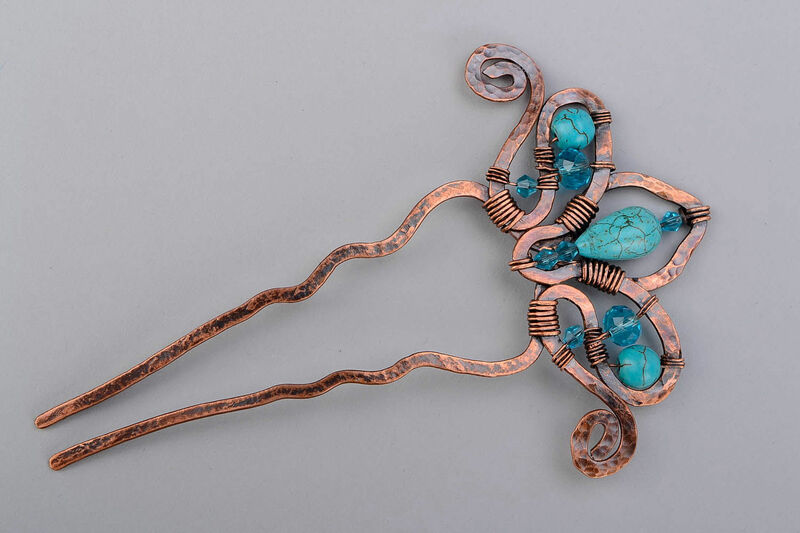 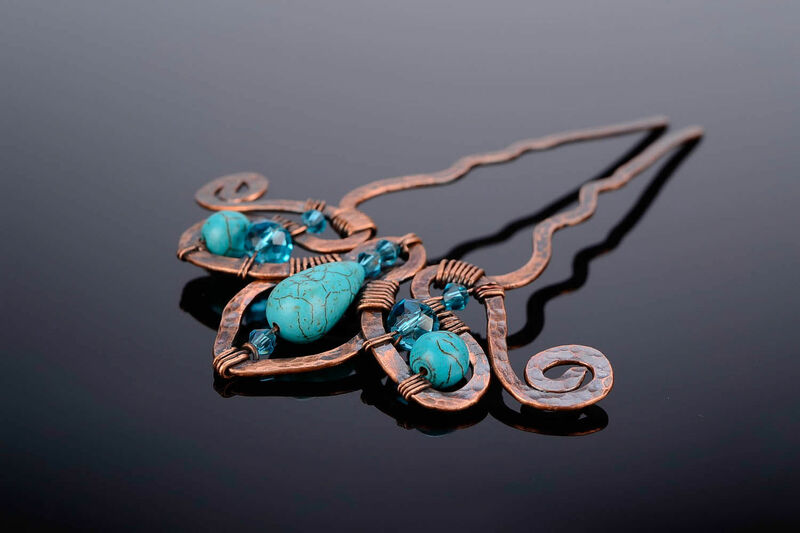 The hairpin is made of copper wire in the art wire wrap, decorated with turquoise and covered with lacquer jewelry. 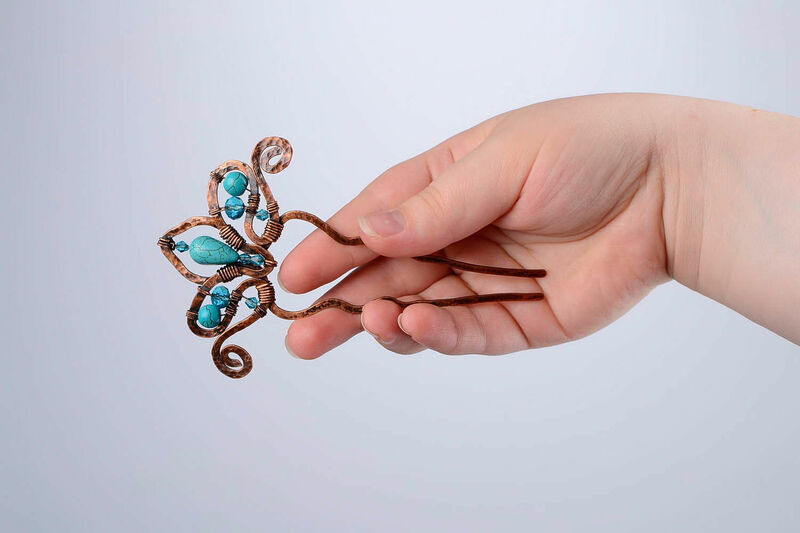 Decorate your hairstyle with a hairpin and you will not be left without attention. 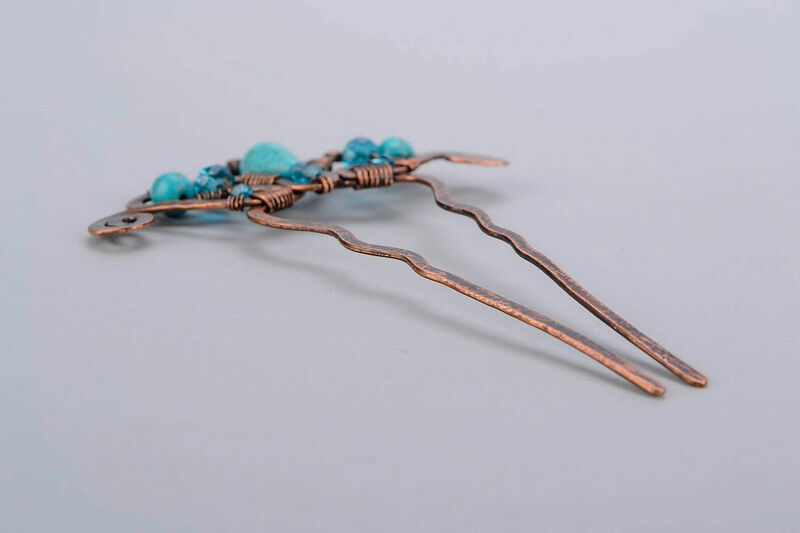 Recommendations for care: wipe the product with a piece of soft suede or flannel. 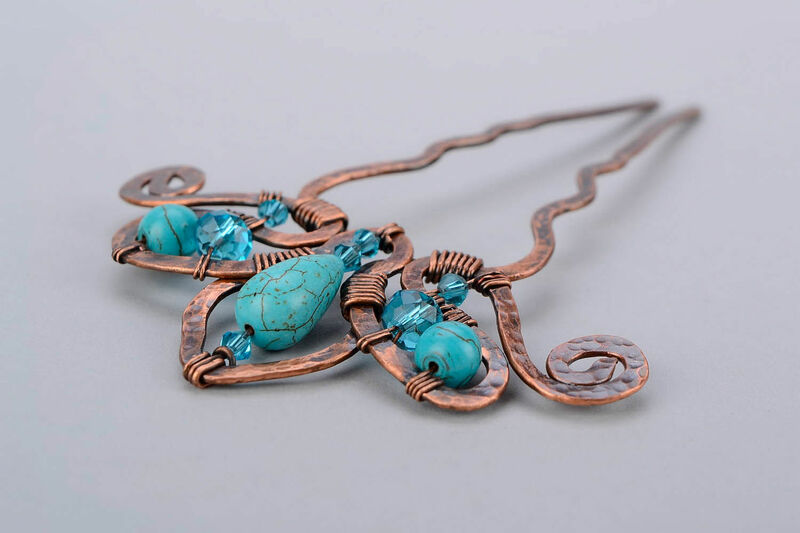 Keep in dry place.